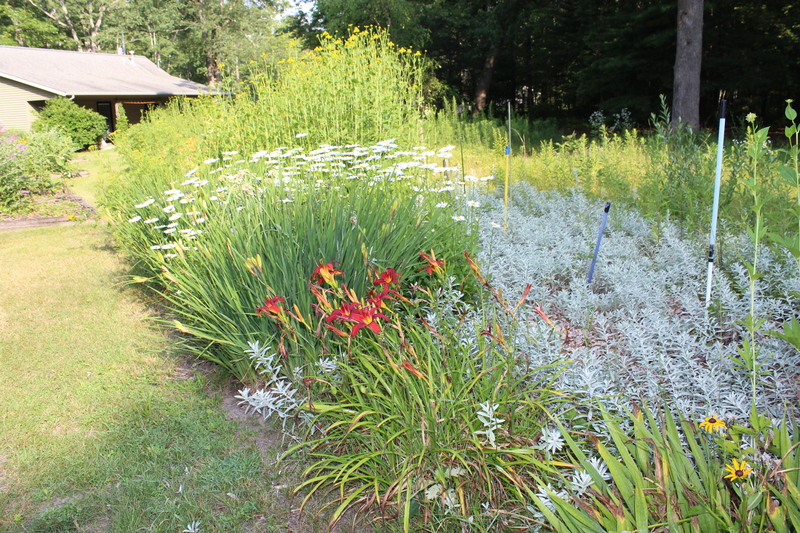 Late July and early August is the time for splendor in our homestead meadow. 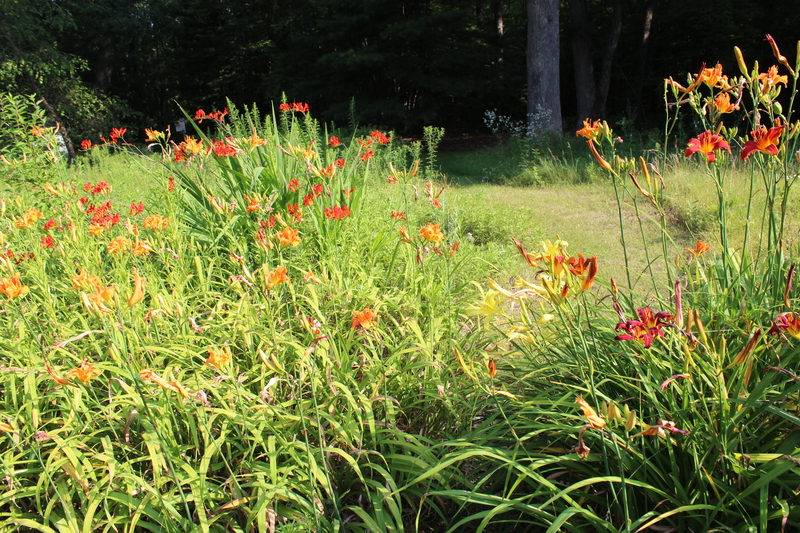 It’s now ablaze with color of day lilies, yarrow, cup plants, ox-eye Daisy’s and more. 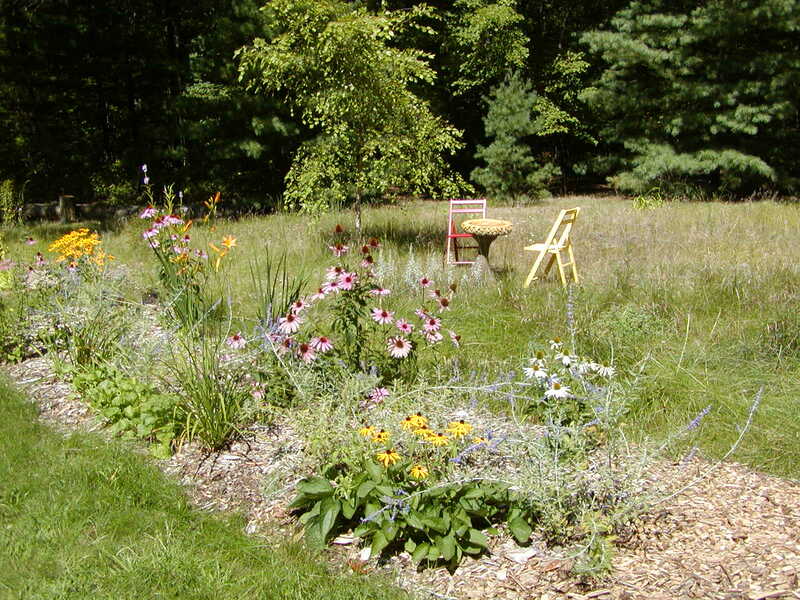 With the open prairie as my inspiration I began creating a meadow garden here over a decade ago. 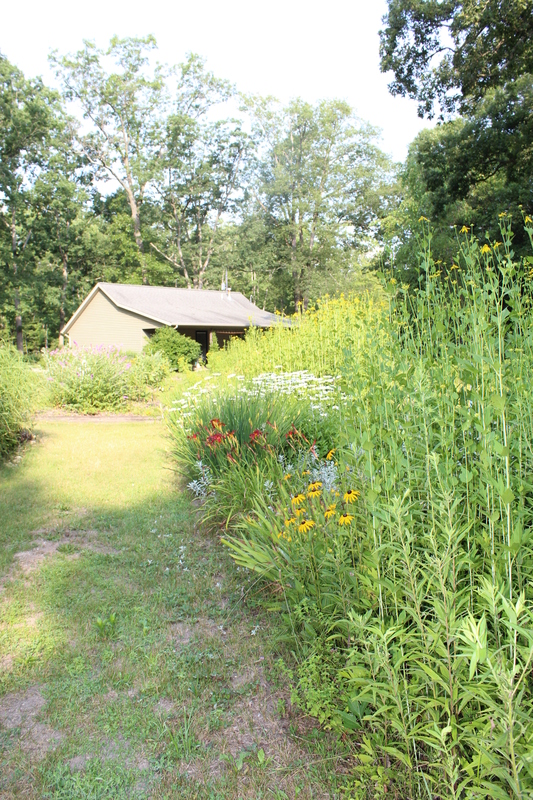 This is the is the month of splendor for colors in the meadow at the Small House Homestead. The native flowers are in full bloom now and creating stand out color this year. 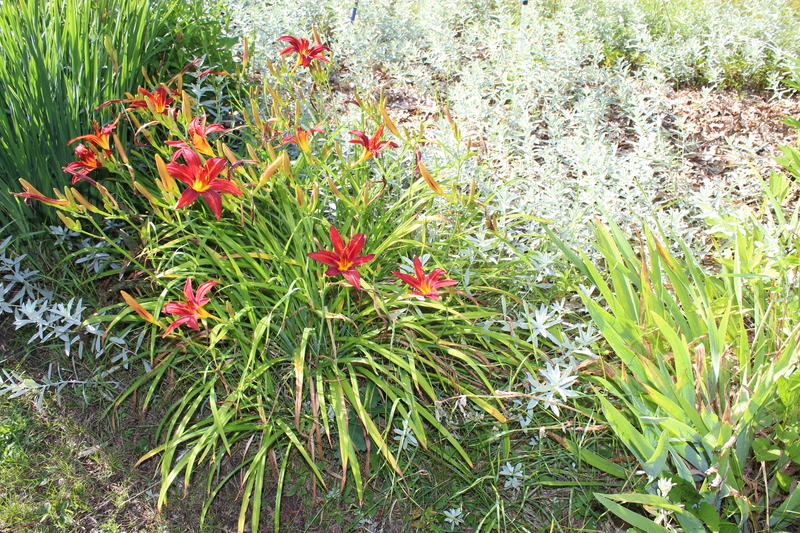 I selected varieties that would flourish in the heat and sunshine and require little care once established. 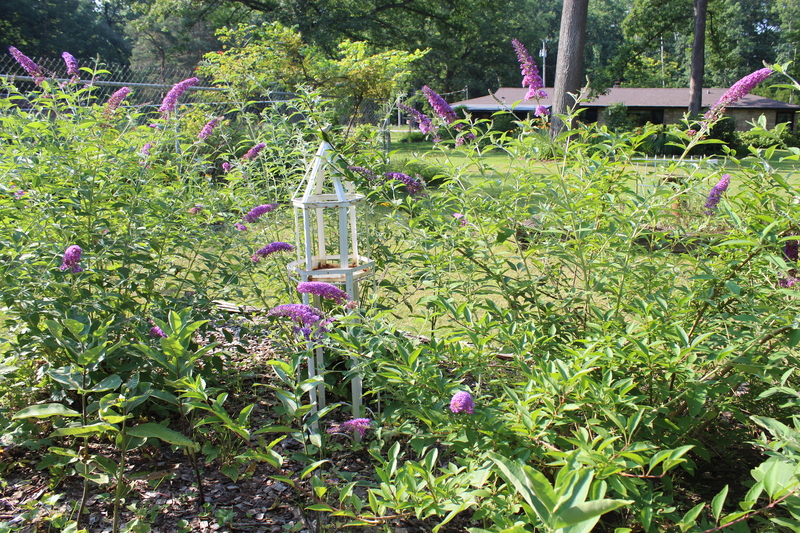 The sweet smell of the Butterfly shrubs is intoxicating and the splashes of red bee balm, orange butterfly weed, yellow cup plants and brown-eyed Susan’s, and purples butterfly bush, ornamental grasses and blazing star make for an invigorating and beautiful stroll around the meadow. These hardy natives can tolerate the summer’s heat and drought with nary a blink like warm weather warriors. Most all attract butterfly’s, bees and dragon fly’s and other insects. It’s hard to believe that when I started this project in 200 this was a traditional mowed grass area I decided to let grow up. I wanted to add a lovely destination garden for my White Oak Studio & Gallery customers to enjoy. Come for the garden and shop the gallery. Or come to shop the gallery and enjoy a stroll in the meadow garden. 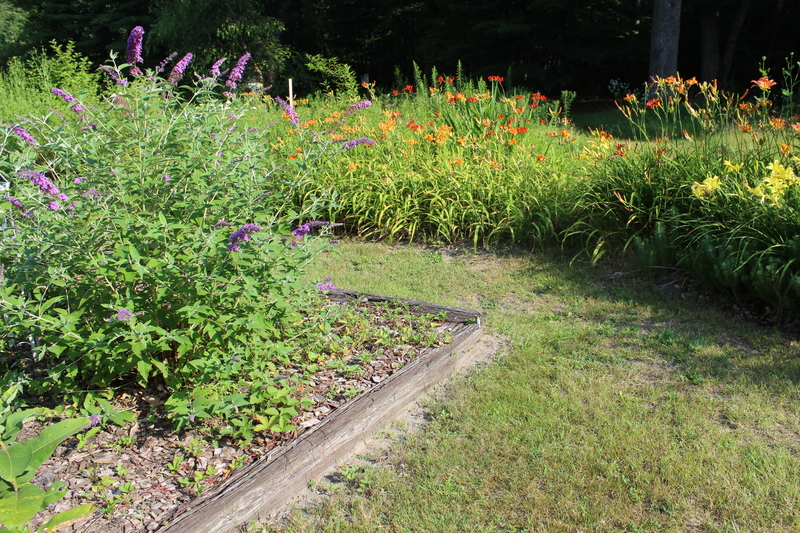 I started by digging out the grass and weeds in a 5 ft. border all around the meadows edge and plugged in perennials and added layers of bark chip mulch. Later on I added another 4 ft. of garden behind the perennials and planted taller shrubs using Viburnum’s I dug up from a friend’s garden , Forsythia’s I propagated and Flowering Quince shrubs that pop up in places where I do not want them. I now have a nice shrub backdrop that blooms in the spring. 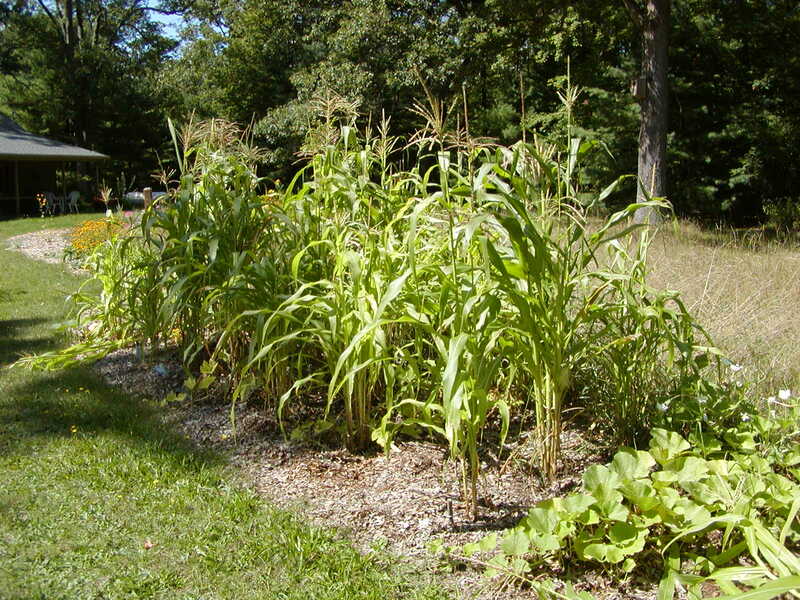 We also have a Monarch Butterfly way station and are a certified National Wildlife Federation garden. Here are a few images of the early meadow around 2004 when it was a brand new project. It’s been fun and rewarding to see its growth and expansion. 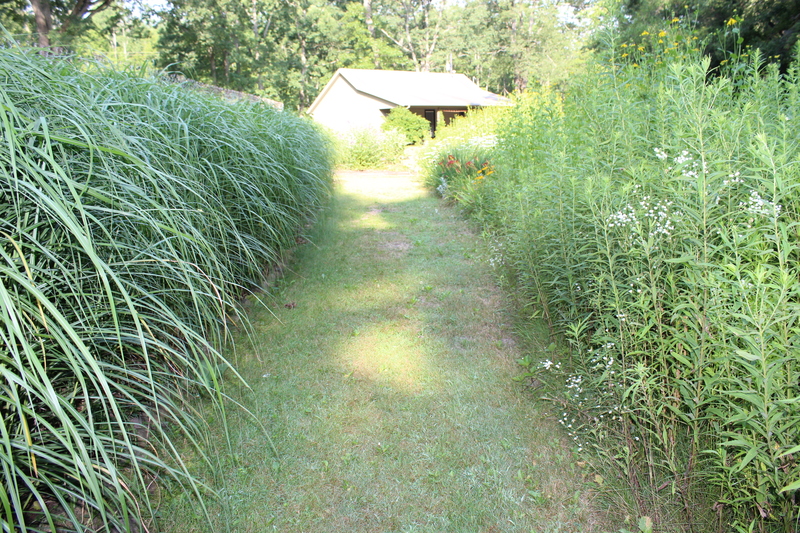 Our meadow edge border in 2004. 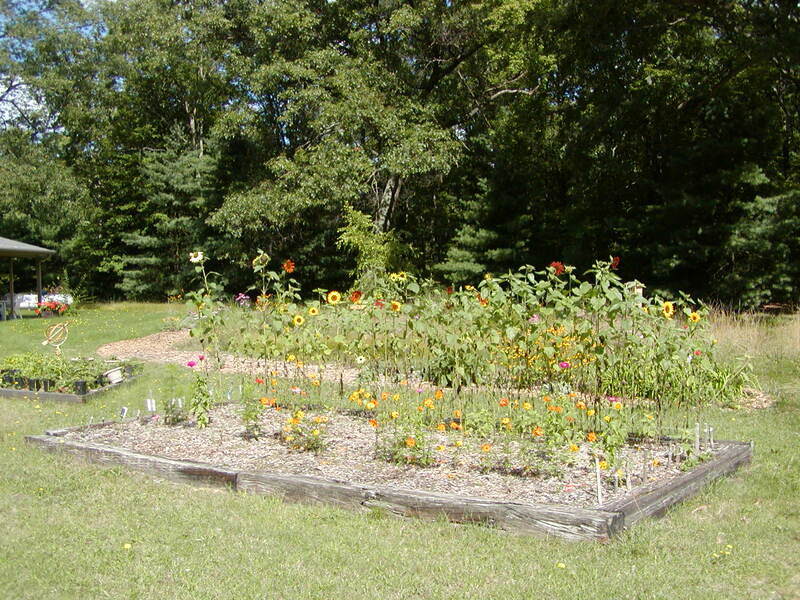 Cut flowers grew in the raised bed in the early garden years.